Lung cancer. 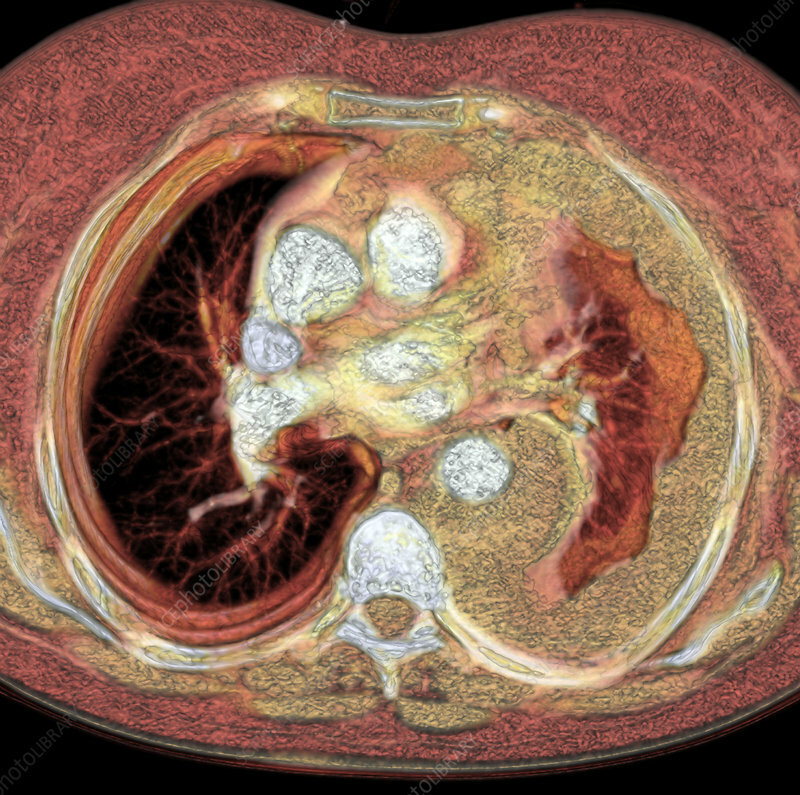 Coloured computed tomography (CT) scan of an axial section through the chest of a patient with a mesothelioma cancer (yellow). The mesothelioma is surrounding and constricting the left lung (right, red/black), compared to the right lung (left). The spine (lower centre) and the heart blood vessels (centre) are white/blue. Mesothelioma is a malignant cancer of the pleura, the membrane lining the lungs and chest cavity. Mesothelioma is often associated with exposure to asbestos. It has often spread over an extensive area before it is diagnosed, as in this case, and the prognosis is then poor.